Archer was a "stray pick-up" in LA and had a rough start at the shelter. They believed he was hit by a car. A wonderful and large community of volunteers came together to rescue, foster, and provide Archer a state-of-the art orthopedic surgery to realign his pelvis. He was on kennel rest for a month, and now the vet says he has fully and cleared him for activity. He enjoys walks, relaxing, playing with toys, and especially hanging out with his foster family and meeting new people and animals. He loves his foster dog and cat siblings and is loving towards them. Everyone who meets Archer loves him, including his foster parents' 96 year old grandma and 20 month old niece. 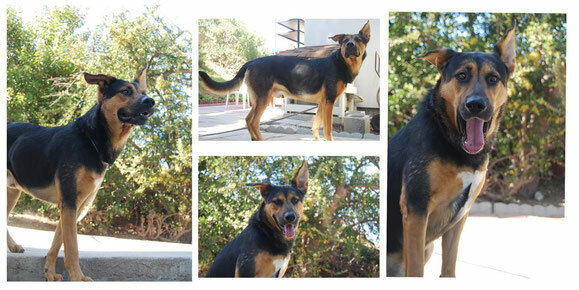 He knows his basic commands and walks well on a leash.If you are interested in Archer, click "Adoption Application".